At Plumber Sandymount we pride ourselves on being one of the highest quality emergency plumbing & heating companies in Dublin. With over 35 years of trading within the county if you are looking for an established company you can trust, you have come to the right place. All of our team are highly trained and qualified in all areas of the trade. This includes being R.G.I. gas safe registered. Whatever the job, large or small we can do it. We don’t leave our customers stuck in an emergency situation. For any plumbing emergencies day or night just call us. A senior plumber will answer the phone and try to help you on the phone initially. If needed we can have someone at your premises in under an hour. We don’t even charge for call outs. Our plumbers in Sandymount have built our reputation on customer satisfaction. They have expert domestic plumbing knowledge. We also know our prices are very good in comparison to some of our competitors. All of our work is guaranteed and we are comprehensively covered by our company insurance. Our regular customers know that when we start a plumbing job, the work will be finished to the highest standards. As a customer this means you can rest assured and sleep soundly. We know that you will always be completely satisfied with our work. Our Team of Sandymount plumbers offer the following plumbing services. • Water plumbing. Installation or removal of hot or cold water pipes. • Leak Repairs. From simple leaks to extensive burst pipes. • Gas and oil boiler servicing by an R.G.I. engineer. • Emergency plumbers Sandymount. We are available 24 Hours a day. We can have a team member at your door within 1 hour for all emergency call outs. • Boiler installations and repairs. • Water pump installation and repair. • Boiler Disconnection. All of our team ave the knowledge and expertise to safely remove your old gas boiler. • Central heating. Expert installation and maintenance of domestic central heating systems. • Installation of interior and exterior taps. bathroom, kitchen or exterior taps installed. • Bathroom renovations. Please check some of our work and client recommendations. • Whole House plumbing: Our team can plumb your entire house, ideal for renovations or new builds. 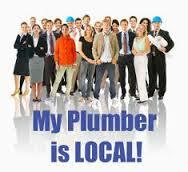 Plumber Sandymount also offer a free call outs and professional no obligation quotes. We do not have hidden fees or charges. We do not charge traveling time or parking fees. Our vans are always fully stocked so as there is never a need to be “off getting parts.” If you live in the D4 area and urgently need a plumber call your local Sandymount Plumbers today on 01-2844921.